In the largest development at Disney’s Magic Kingdom, Disney are currently undertaking a major expansion of Fantasyland which will see the introduction of new rides, attractions, restaurants and gift shops. Because of the scale of the expansion, it is being undertaken in a series of phases and when completed will nearly double the size of Fantasyland. 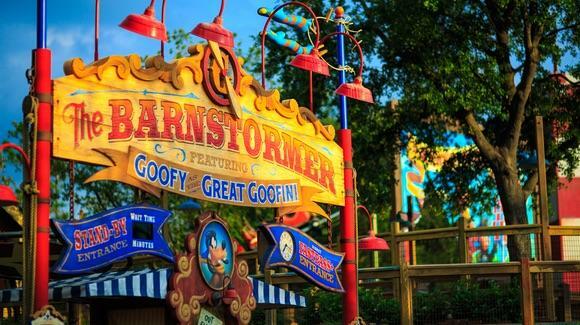 The first phase of New Fantasyland, called Storybook Circus based on the Dumbo film, has already been completed and includes Barnstormer - Starring the Great Goofini, the Casey Jr. Splash & Soak Station and Dumbo the Flying Elephant, all of which opened to guests in July 2012. The second phase, called Enchanted Forest brings together the classic Disney films, The Little Mermaid and Beauty and the Beast and will open in December 2012. Attractions include Under the Sea - Journey of The Little Mermaid, Be Our Guest Restaurant, Enchanted Tales with Belle, Ariel’s Grotto, Gaston’s Tavern and Bonjour! Village Gifts. These attractions plus Big Top Souvenirs and Pete’s Silly Sideshow in the Storybook Circus will open at the official Grand Opening of New Fantasyland on December 6, 2012 with the preview starting on November 19, 2012. The third phase in 2013 will see the introduction of the Princess Fairytale Hall on the site of the former Snow White Scary Adventure, where guests will get the opportunity to meet and greet all of their favourite Disney princesses. The final phase will see a new “mountain” roller coaster ride coming to Disney’s Magic Kingdom in the shape of the Seven Dwarfs Mine Train in 2014, themed on the classic Disney film of Snow White and the Seven Dwarfs. To make way for the New Fantasyland, several of the original attractions in Fantasyland including Snow White Scary Adventure have either closed down or been relocated. The whole of Mickey’s Toontown Fair closed down in 2011 to make way for Storybook Circus.